We know that weekends and holidays … are the best moment to get away, relax and enjoy with your family or friends. 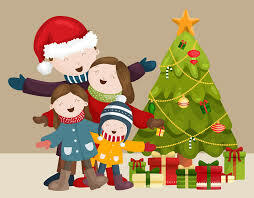 At Hotel Samba you can celebrate a family Christmas full of happiness! Would you like to have a charming Middle Ages experience? Be sure to not miss this medieval weekend in Lloret de Mar and feel its magic! Would you like to enjoy the largest water roller coaster in Europe? Do not miss the opportunity when you visit Lloret de Mar. Compartimos la ilusión de Kristina con la fundación Make-A-Wish Spain. Do you know the demEAUmed project being carried out at the Hotel Samba? Do you know Samba Hotel was the first hotel in Spain with a certificate ISO 14001 and EMAS because its Environmental Management System? Friday, April 29, 2016, Lloret de Mar. Samba Hotels visits Alimentaria, the Fair of Food and Beverage in Barcelona, which started 40 years ago.